Tyre-sponsor HEIDENAU features freeridesa’s KTM!! 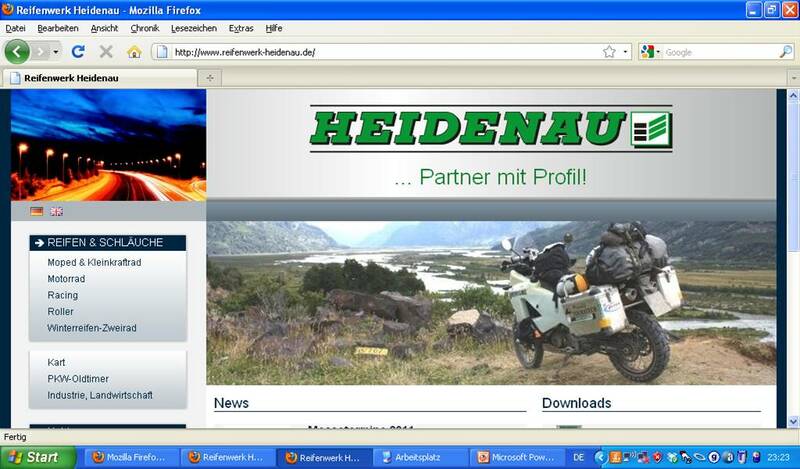 We are happy to see our lovely bike on our tyre-sponsor’s website! We used the K60 Scout and loved it onroads as well as offroads!! This entry was posted on Sonntag, März 27th, 2011 at 15:25and is filed under General Stuff, Media. You can follow any responses to this entry through the RSS 2.0 feed. You can leave a response, or trackback from your own site.